You are currently browsing the tag archive for the ‘ring’ tag. FDR with his press secretary Steve Early in the Oval Office, January 1941. 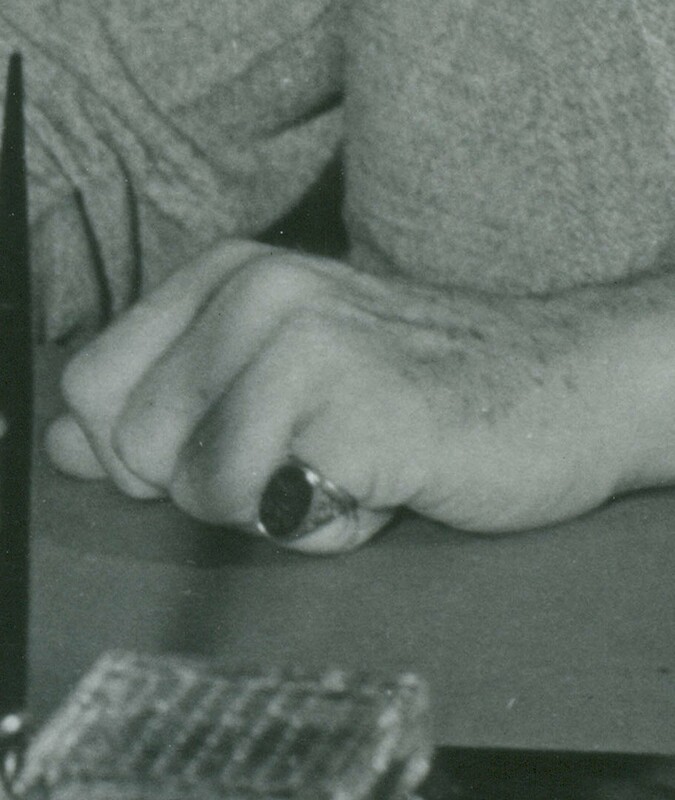 We often get asked for details about FDR’s famous pinky ring, so here’s the 4-1-1. The ring that Roosevelt wore on his left hand pinky finger was made of gold with a bloodstone center. The stone was engraved with the Roosevelt Family crest, and the inside of the band was engraved with the date “1853”. The date is the same year that FDR’s father James Roosevelt married his first wife Rebecca Howland. FDR inherited the ring from his father when he died in 1900, and FDR wore it for the rest of his life. 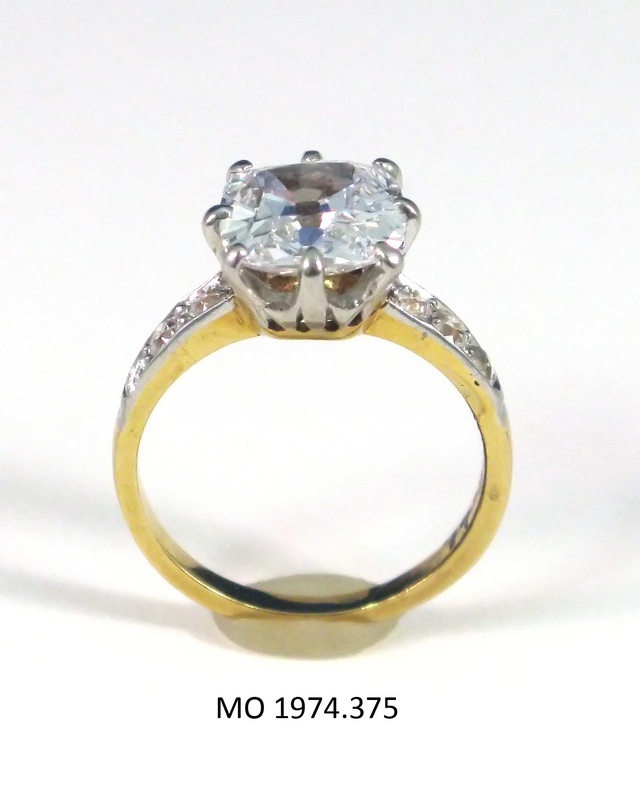 After the President’s death in 1945, the ring passed to his eldest son James. The ring’s current whereabouts are unknown. FDR also wore another simple band behind the bloodstone ring, but we do not know whether it was a wedding band or had some other significance.